I remember very well the days before I was as into films as I am today, the Toronto International Film Festival was something that I had always wanted to attend. Being in the presence of many celebrities was already such an overwhelming concept for me to grasp, but I never imagined that an opportunity nearly as big as this would have come my way – because I’m not a blogger who gets much attention as my prominence on social media would make me look to be. I’m simply any other person who just wants to find a way to share my own love of films with the many people who I know would be so kind enough to give me as much as a read, and I’ll be perfectly honest, being someone who is so socially awkward as I am, it’s even more difficult. When I started Cinema from the Spectrum, it was a site that only kept itself geared towards the many opinions that I have on films – and that’s all it was. Only me, an autistic film lover who attended high school classes like any other kid would do, trying to figure out what to do with my future. And granted, I still have certain goals set in mind, because I’ve always wanted to become a filmmaker at some point in time – maybe even have a film premiere in Toronto. Yet through my own social media presence and discovery of many more voices in the world of cinema, I simply couldn’t help but feel as if with all the films that carry such a singular perspective about people on the autism spectrum, I said to myself, “Why not use this platform to help raise our voices?” And granted, I may not be the first person to make a cinema-related blog centered all around giving voices from the autism spectrum their own time in the spotlight, but being one of many people that seek to raise our voices – it was something that I felt privileged to be a part of. The Toronto International Film Festival was an event that had meant a lot to me, and being a part of the press was certainly something that I felt was so unlikely especially if I was struggling to gain as many new readers as I possibly can (right now, we here only have as much as 100 or so weekly). But the moment I got an e-mail saying that my accreditation has been approved and I was set to pick up a press pass, with the privileges of attending press screenings and even landing potential celebrity interviews right from the red carpets, a certain sense of triumph came my way that I could never put in the simplest of terms. I got extremely excited within the moment, thinking about the many connections that I would make right from the red carpet, yet at the same time incredibly anxious because I was never the sort of person to start conversations with many other people. I sit around, observing many other people talking with one another wherever I am, though I still see myself as being invisible. But I just put myself out there. I’m live and I can’t let those moments get to me so badly. I can only do so much work on my phone, but I managed to make it all work. Yet I’m still in part that overeager fan that couldn’t help but post everything over on Instagram, including my interviews with Barry Jenkins and Elizabeth Debicki – because I’m not a professional reporter/industry member yet. The most that I do is work over a podcast from Sheridan College’s Trafalgar campus, which had also proven itself to be most helpful with allowing me a place where I can raise my voice before heading out towards something of a much greater scale. I put myself out there because I wanted more people to come and see the world right from my eyes in order to better understand what goes right through the mind of someone like myself. I put myself out there because I knew that I wouldn’t be able to get another chance to connect with people like I did right here. And what better way to send off everyone than to try and at least leave a good first impression on an artist you admire? The aspiring filmmaker in me has always wanted to find a way to make connections with many figures in the industry and I’d already have guessed that being a member of the press would be one among many steps that I could be taking in order to make my name more recognizable. What I certainly didn’t expect was that I’d end up having this much backup from people in the industry. But I also didn’t think above all that I would be sought out by other press members that I befriended while I was covering red carpets during that time I spent acquiring celebrity interviews, even if all the coverage had to be limited just to being right on my cell phone. But seeing that people were so open-minded to listen to more voices akin to that of my own, even if my coverage may not have exactly been “professional” at that, and I was still entering like any other fan – I found myself entering a whole other world altogether. Entering most of the press screenings that I did, I had this mindset that I was still any other fan. Because there was no way I could imagine that a twenty year old second year college student from Mississauga like myself would actually manage to climb up this fast into the rankings like I did. It was terrifying, just knowing that I would be entering a world unlike that of the public screenings that I would always be going to when I was in Toronto. Of course, before the festival many questions were had about who I would end up interviewing either on the carpet or one on one. Because being a press member was something I always imagined would be something that a person of a higher class could attain yet I’m still the same person that, on average, can only afford to see three or four movies because I desperately want to get into the film program at Sheridan considering how hard it is to get in there. So going back to what this all has to say for me, I keep asking myself, “What if I don’t get in that program?” I’ll be perfectly honest, I don’t know what’s set to happen from there onward. I enjoy being able to share my writing with numerous people who are willing enough to listen to my own voice – but I struggle even trying to break out of that shell most of my day. But I keep having myself prepared for failure because it’s all that seems to be on my mind, what if I can’t go that direction like I planned for myself in the future? I think at least knowing I was able to form that connection with many others whom I’ve admired in their own fields, making names for themselves within a competitive industry – that’s something I know I can feel accomplished about. It’s wonderful that TIFF has been pushing for more diversity in the voices that have become part of their press this year, and I feel honoured to have had such an opportunity coming my way with 2018’s festival. But I don’t want to be looked at as one to represent everyone on the autism spectrum as part of the press, because I know for certain that I certainly cannot be the very first of such to be there this year. Yet being one of the youngest to come so far ahead of many of my own peers, who I know would even be frightened to be going to a party together with other press members where someone like myself would even be looked at rather strangely because I’m not like many others. 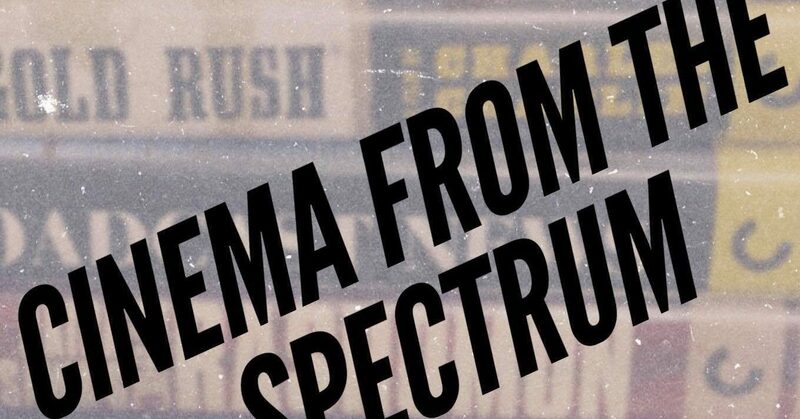 Earlier on Cinema from the Spectrum’s Twitter page, I linked to a CBC article talking about what it felt like to be a “diverse” critic at the Toronto International Film Festival in 2018 (which you can read right here) – something that had resonated with me as a Filipino media student, still putting together what all of this just feels like on the spot. Because I don’t want to be singled out among every other autistic film critic I know that’s out there, I’m only one voice speaking for my own experiences. Of course being on the red carpet and getting chances to talk with many talents that I’ve admired greatly would be among many highlights from the festival this year, but knowing this was near impossible for myself, still reeling from the mindset that I’m just any other fan – I don’t really know what else there is to say other than something that I told Ms. Gadon herself when she asked me how the festival went for me. I just said, “it was overwhelming.” But I didn’t go into full details yet about what was overwhelming about the experience knowing that this was my first time covering press for TIFF. It was overwhelming because I know I still have so many fears about what people would be thinking about me long after. Did I manage to leave a good impression on the many I know who would be attending the festival as press or industry members, or even as the creators or the programmers? This long stream of self-consciousness only grows bigger from there I can’t type out everything just yet because I know that going into those details everything would be so long winded. Today, I still see many of my peers liberally slinging out “autistic” like an insult. I’m still told that ableism isn’t a thing, and that I’m being too sensitive. I’m still struggling to find a job, for I’m still under pressure from credit card debt and I funded my way through TIFF using money that I have acquired on my 20th birthday. And so what, I can’t be the one to harp on as a shareholder for progressive values that are so difficult to find in such an industry where the art being emphasized tells of the same groups of people. But I’m glad to be a part of a good step towards letting more great people of this sort make a name for themselves in a competitive world, a step forward in making sure our voices are made to feel valid. My bragging rights only show themselves all the more with me keeping that press pass of mine from this year, or the fact that I’d been able to speak with so many big names on the red carpet. But deep down, I know I’m still encased within a shell that society seems to have surrounded people like myself within. They only see the social ineptitude that people like me suffer from, or even those obsessive compulsive habits that we can carry – and exaggerate it as a form of mockery. It felt so intimidating coming forward to these people, trying to get as much as a decent conversation on the red carpet when I know I’m not able to start up one with a regular person up close. Yet TIFF has provided me with this opportunity to find freedom by breaking out of that – and for that I couldn’t be any more thankful. So with that having been said, perhaps I’ve only come out an amateur because this is my first year after all – but I look forward to what next year has in store for us. For now, I can keep you waiting on more podcasts talking about the experience, and how cinema continues to treat me over the year.